Pure class in your pocket. 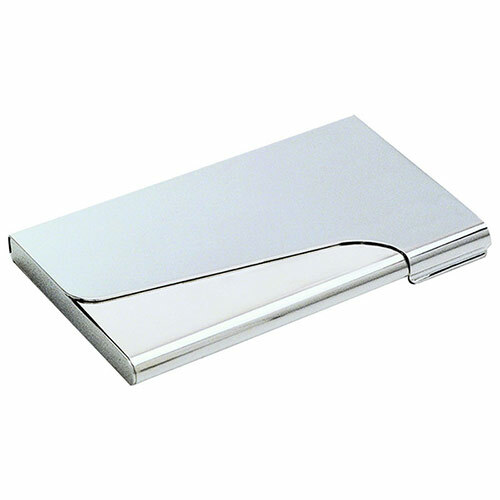 These elegant business card cases feature a smooth, curved design lid with an extensive engraving field, ideal for a company name, corporate logo or personal message. They make cool and sophisticated business gift items at a price that won't hurt your pocket. With low prices - and our free engraving and fixed price UK delivery - this classy business card holder will charm its way into your pocket.